If you are looking for a service provider for cargo shipping from China to Netherlands, you have reached the right people. As business opportunities in Netherlands grow, more and more companies and factories in Netherlands need a reliable freight service provider to facilitate fast and efficient import from China to Netherlands. At TS Freight, we have several customized freight service packages to suit the needs of your business, be it big or small, and we assure you timely services that will easily fit in to your budget as well. 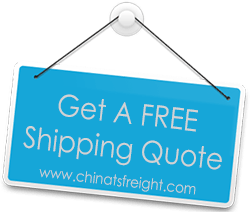 We have strong ties with all cargo carriers between China and Netherlands, which is why we are able to offer the best rates for cargo shipping from China to Netherlands. We ship goods from all the major cities in China including Hong Kong, Hangzhou, Tianjin, Dalian Shenzhen, Guangzhou, Shanghai, Ningbo, Xiamen and more; and also offer you pickup services, packaging and inventory, documentation and custom clearance as well as loading and unloading services as part of our affordable packages. Once your cargo reaches its destination in Netherland, be it Hague, Rotterdam, Amsterdam or any other major city, we assure you that our team of skilled personnel will oversee door delivery of your precious cargo. We take pride in the fact that customer satisfaction is our motto. Your shipment will reach its destination safely and on time, without incurring any inconvenience to you. We guarantee reliability through our high standards of professionalism and dedication, and guarantee to do it at the cheapest rates possible.